State agencies convened stakeholders in 2007 to advance Ohio’s recovery of food waste. Almost five years later, collection and processing options abound. IN 2007, the Ohio Environmental Protection Agency (Ohio EPA) and Ohio Department of Natural Resources (ODNR) hosted the first Ohio Food Scraps Recovery Stakeholders meeting. The state agencies invited composting and anaerobic digestion facilities, haulers and businesses that generate food waste to explore opportunities to advance Ohio’s recovery of this feedstock. At this first meeting, participants identified barriers or areas for improvement to further food scraps diversion. The most significant barrier at the time was very limited processing options. Only three composting facilities were accepting food scraps. No anaerobic digesters with biogas recovery were built or permitted to accept food scraps. The lack of processing infrastructure resulted in long transportation distances and higher costs, which did little to encourage waste haulers to focus on collecting food scraps and other organics. This lack of hauling capacity was identified as another top barrier. On the regulatory side, the applicability of the state disposal fee ($4.75/ton) to food scraps and organics other than yard trimmings, even if composted, was identified as a disincentive to diversion. (That statute was updated in 2010 and clearly exempts all wastes accepted at composting facilities from state disposal fees.) Participants also indicated that funding for site improvements and processing equipment upgrades would help accelerate establishment of a processing and hauling infrastructure. In the four years since that first stakeholders meeting, Ohio has seen a growth in food scraps composting facilities from 3 to 27. The ODNR has provided significant grant funds to both public and private sector food scraps recycling programs. Five Ohio universities are registered with the state; many more send material to commercial facilities. One correctional facility registered with the state. The Ohio Department of Corrections and Rehabilitations is exploring opportunities to expand these programs to other facilities in 2012. In 2008, the Ohio Grocers Foundation published a Composting and Diversion Guide, funded by an ODNR grant (available at Since 2008, for example, the Kroger Company has enrolled 62 of its Columbus Division stores in the company’s composting program, which has recovered more than 6, 000 tons of food scraps. Overall, the organics diversion programs launched by Kroger and then Walmart established permanence in food scraps collection. As a result, the composting industry responded to the capacity needs that are projected as more businesses enroll in these programs. During this period of time, the recovery programs have expanded to include food banks and community agriculture partnerships. Four anaerobic digesters currently accept food waste in Ohio. Three — in Akron, Columbus and Zanesville — are permitted as wastewater treatment works with the option to add food waste. The fourth one is established at the Ohio Agricultural Research Development Center in Wooster (part of The Ohio State University), and primarily manages waste from the research farm. Construction is planned for at least eight additional digesters in the next two years. In September 2011, the Division of Materials and Waste Management of Ohio EPA adopted a policy for streamlining regulation and permitting of facilities that utilize thermal and biological conversion technologies to convert solid waste to fuels. This includes anaerobic digestion. In accordance with the policy, Ohio EPA will not regulate these conversion facilities as solid waste facilities under the State’s solid waste laws unless they are also operating as solid waste transfer sites. The Agency will regulate thermal or biological solid waste-to-fuel conversion facilities under the State’s existing applicable air and water pollution control laws. The new policy removes dual permitting of anaerobic digestion facilities. Essentially, any project that includes biosolids requires Ohio EPA Division of Surface Water permitting; any on-farm (without biosolids) is permitted by Ohio Department of Agriculture; and any stand-alone facilities without biosolids that are off-farm are permitted as solid waste facilities (there are no projects of this type to date). The digestate is considered a solid waste, unless otherwise permitted for land application under applicable permits. 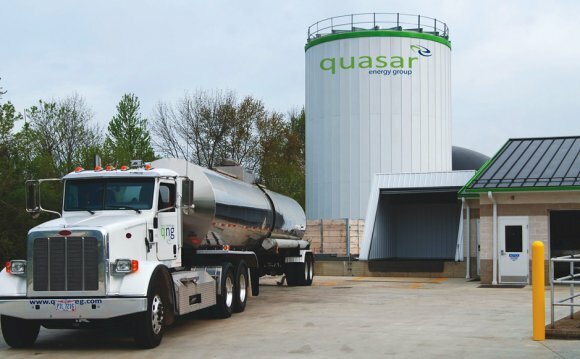 Thermal and biological solid waste-to-fuel conversion facilities are currently subject to Ohio EPA’s air pollution control requirements and may require a permit for emission sources and material handling operations. In addition, if these facilities have wastewater discharges, they are required to obtain appropriate permits or authorizations for these discharges. Ohio EPA’s storm water permitting program may also help ensure that adequate controls are in place to prevent contaminated runoff from outdoor material handling or storage. In addition, activities related to processing of solid wastes, such as magnetic separation, wet separation, picking, drying, pressing, baling and crushing, that typically occur at legitimate recycling facilities, are similar to those that would occur at thermal or biological conversion facilities. Operations at legitimate recycling facilities are currently exempted from Ohio’s solid waste regulations unless the facility is also operating as a solid waste transfer facility. Legitimate recycling facilities are required to demonstrate processing of a minimum of 60 percent of the waste received each month. As necessary, Ohio EPA and local authorities can still use solid waste and public nuisance laws to address nuisances and open dumping issues at waste-to-fuel conversion facilities. The Ohio Food Scraps Recovery Initiative held its fifth annual stakeholders summit in Columbus last November. About half of the more than 70-plus stakeholders attending the summit were there for the first time and represented organizations and sectors that have not been previously involved, such as several state rehabilitation and correctional facilities, community gardens, national fast food chains, animal feed producers, Ohio Department of Development, hospitals, medical supply manufacturers, solid waste management districts, consultants and city planning departments. This fifth annual summit focused on the higher tiers of the US EPA food scraps diversion hierarchy (recovery of edible food and donations). Presentations and discussion led by the Mid-Ohio Food Bank and the Cleveland Food Bank shed light on the pressing need to reduce hunger by diverting food that would otherwise be wasted. They also brought to attention the often unnoticed reality that food banks are food scraps generators too (unfortunately not all donated food can be consumed) and they need assistance from waste haulers and food scraps processors to reduce their waste management costs.